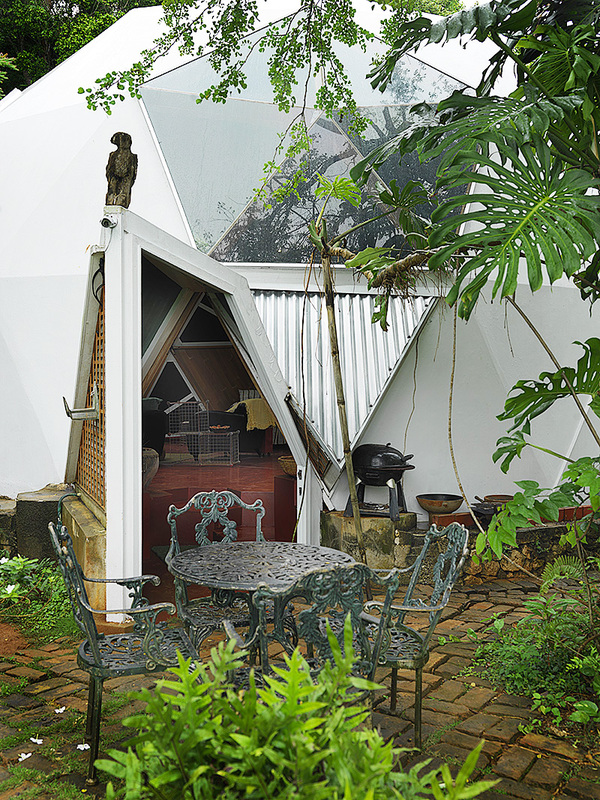 To understand the Phoenix is to understand the architect Patrick Stanigar – and vice versa. Stanigar is a complex and eclectic character and so is the Phoenix, the house where he lives in the Red Hills of Kingston. 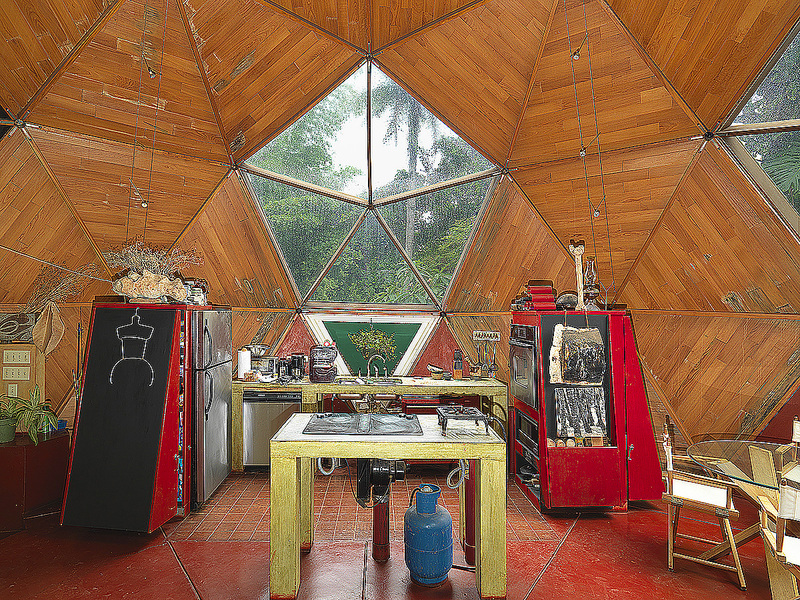 Stanigar practiced as an architect for over 40 years and during his long and full career participated in many aspects of his community, delivered numerous lectures and even served as Dean of the Caribbean School of Architecture at the University of Technology, Jamaica. 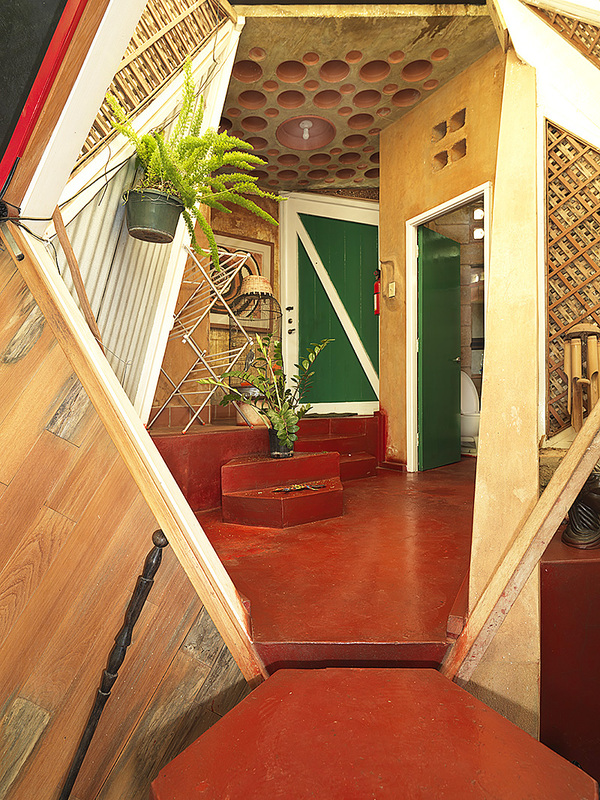 The Phoenix has been widely publicized and appeared on HGTV – World’s Most Extreme Homes “The Phoenix” 1997. 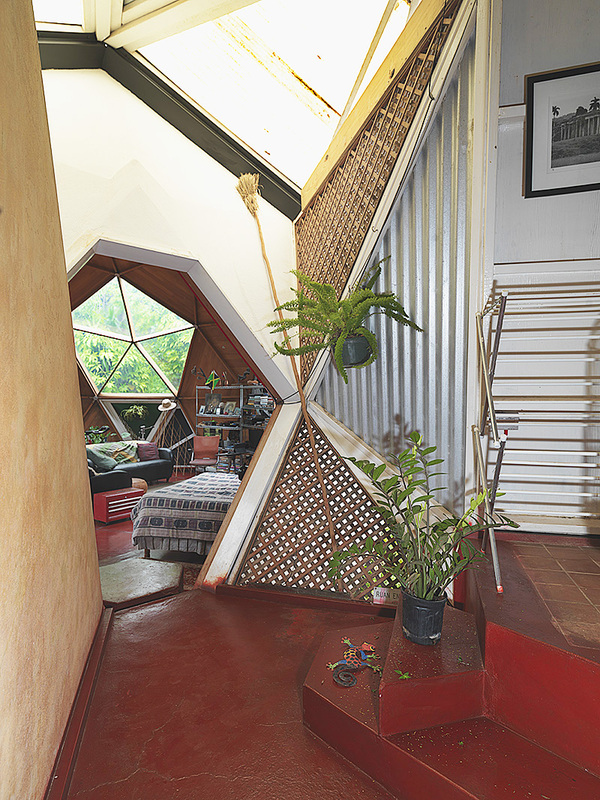 Pat told me that he designed and built the house himself so it is indeed a reflection of his philosophy of design and life in general. It seemed the original house burnt to the ground and he since rebuilt it – hence the title ‘The Phoenix’. 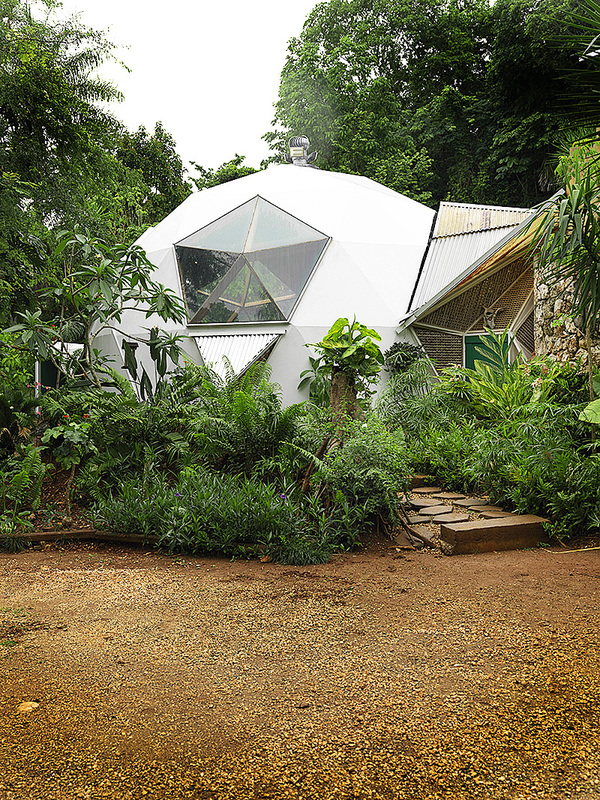 The house is very much in a forest setting and I suspect designed to be difficult to find [I rather suspect that Pat enjoys living in isolation]. So much so that unless Pat takes your there you will never find the Phoenix. 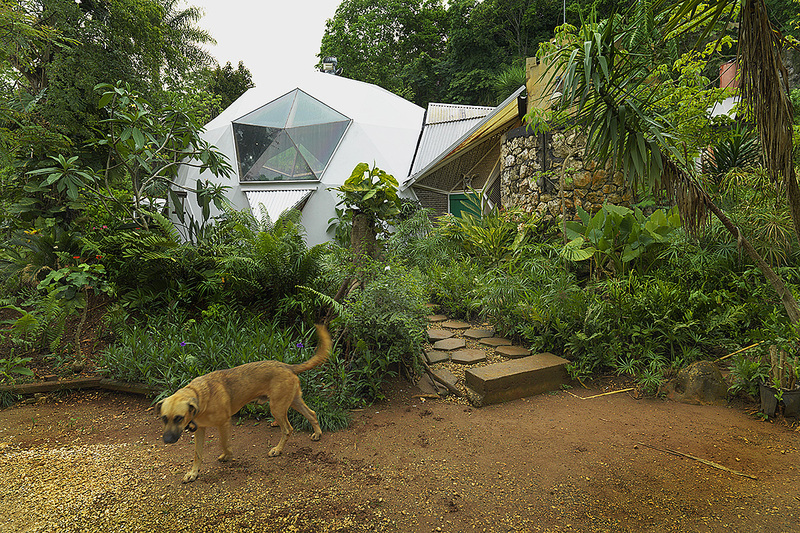 The form of the house is a single 30-foot diameter geodesic dome with a few small quirky stone appendages for a bathroom, entrance hallway and laundry. 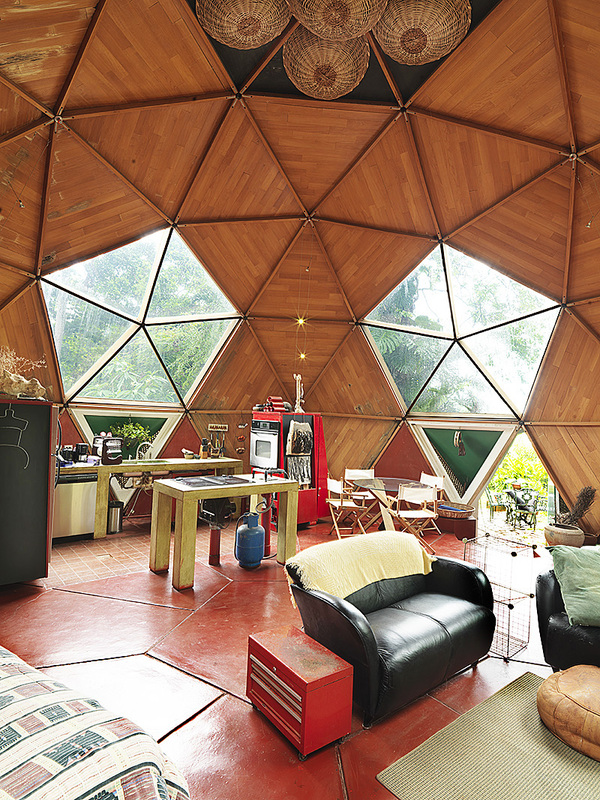 All living takes place in the dome and is typical of Pat’s philosophy for blurred multiuse space. Sleeping, living, dining, cooking and exercising all take place in the same space. 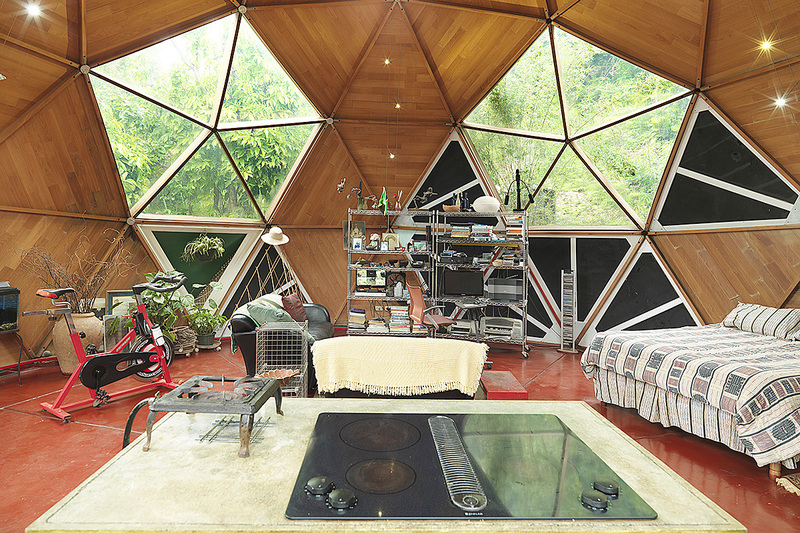 The floor of the dome is concrete painted red. 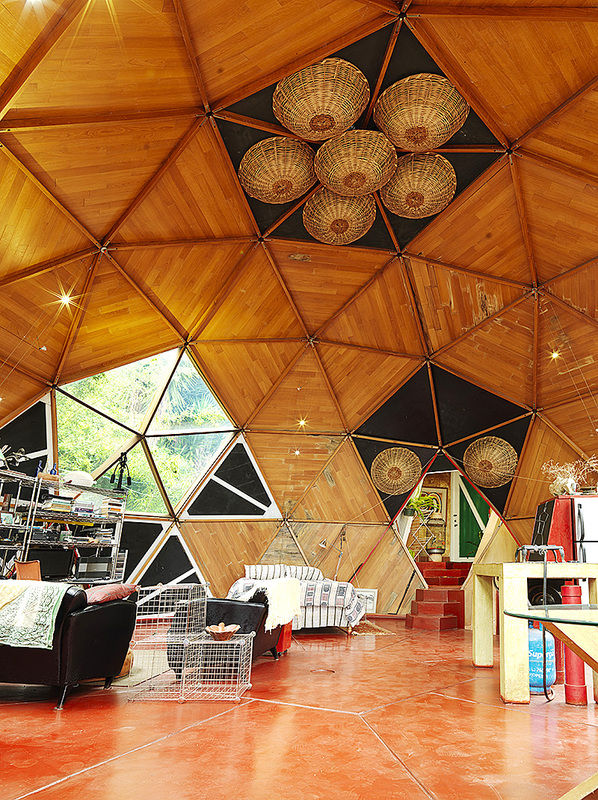 The interior surface of the dome is finished with timber boards that follow the geometry of the triangular panels that form pentagram modules that are all clipped together to form the geodesic dome. 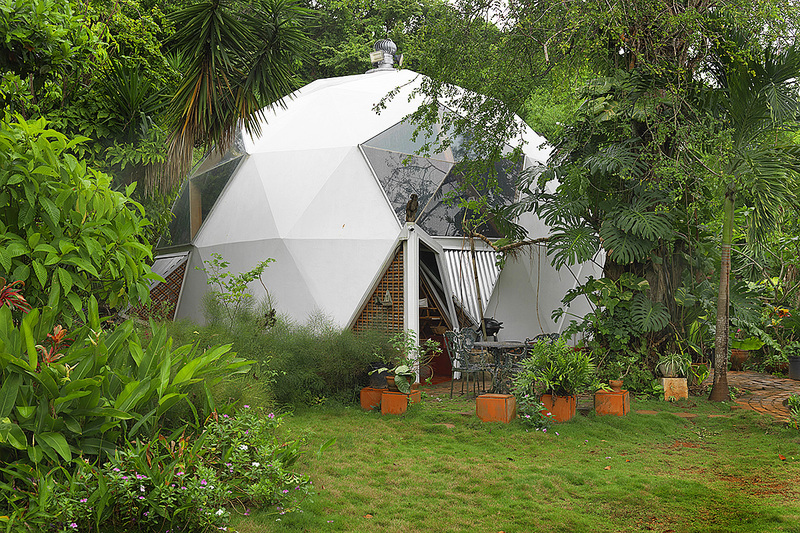 Windows are simply punched into the geometric dome structure comprising five equilateral triangular panes. 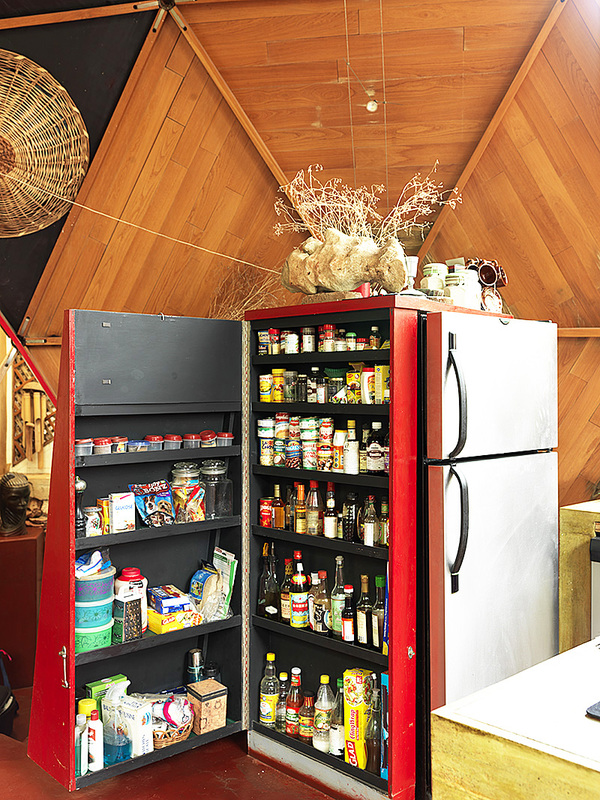 Kitchen cupboards are elevated to sculptural forms and contain some of the fixtures like the refrigerator. 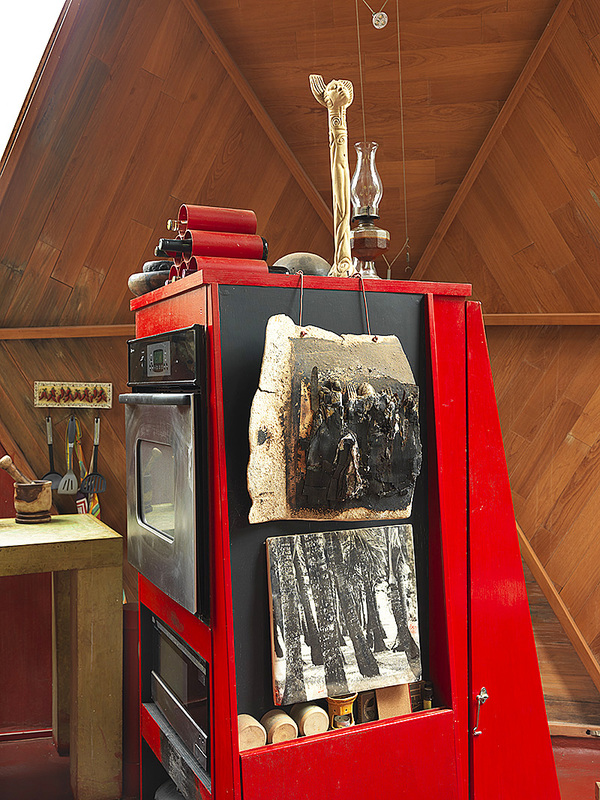 The gas range is unabashedly exposed almost like an altar as a freestanding element. 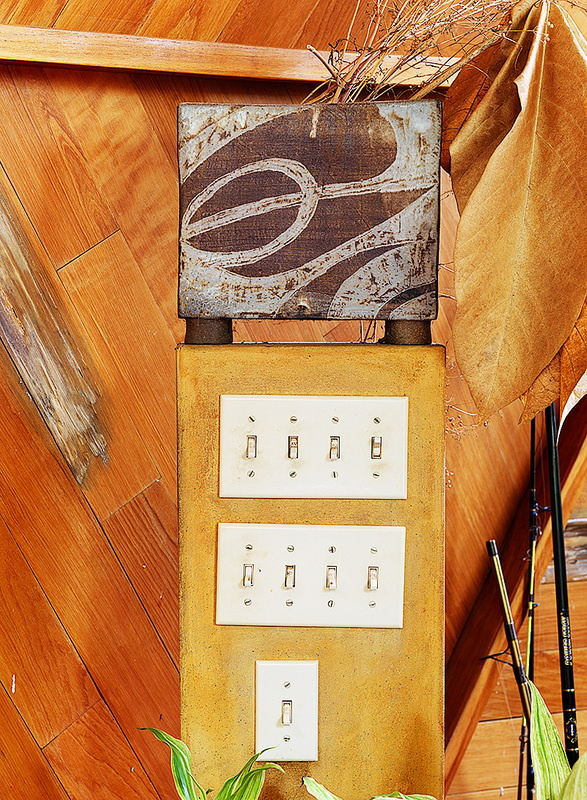 Electrical switches are transformed into quirky design features. 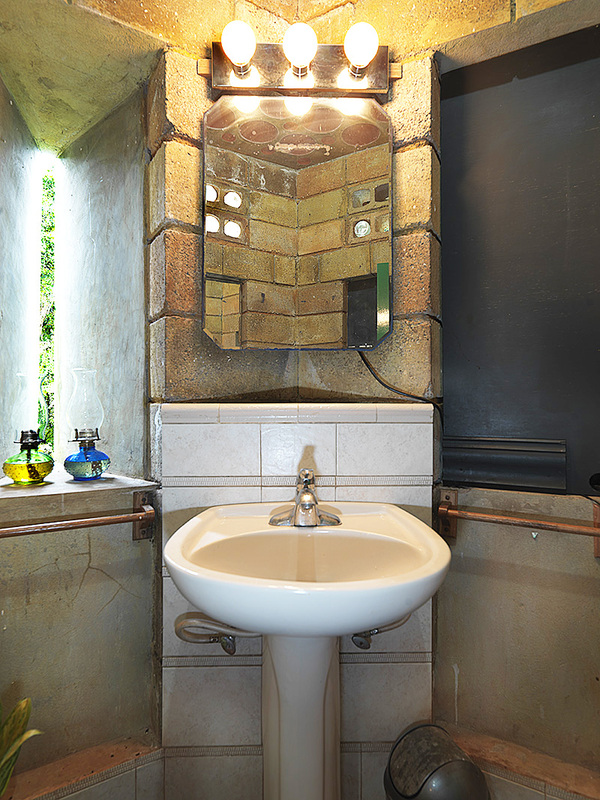 The bathroom is a separate space and is worth a visit to experience the eclectic immersion of geometry, materials and fixtures. All in all it is an interesting space, a bit like Stanigar himself. We got lost several times trying to find the Phoenix and actually drove all the way back to our hotel out of frustration and then called Pat to issue an ultimatum: ‘either we follow you from our hotel to the house of we scratch the photographic session’. By the time we got to the Phoenix it was almost midday and we had to work quickly because I had another appointment back in Kingston in four hours. 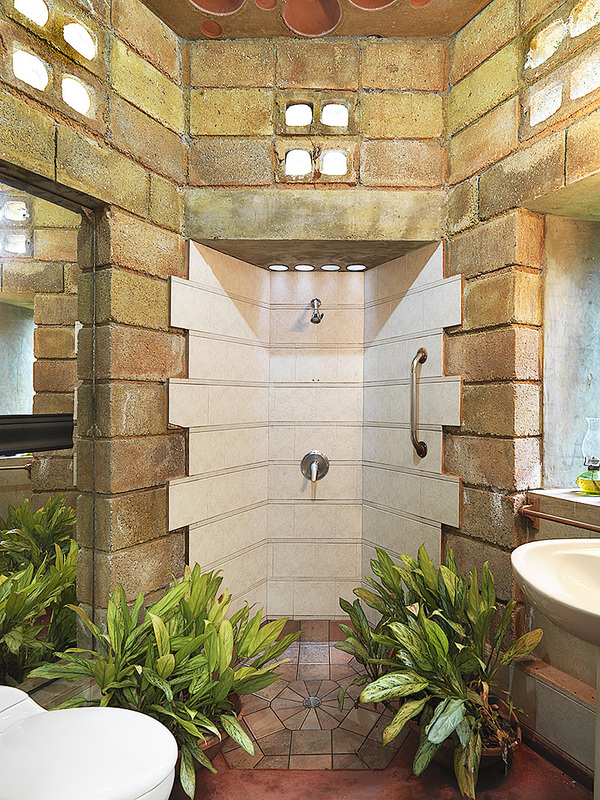 Our arrival was greeted with a tropical downpour so we focused on the interiors. 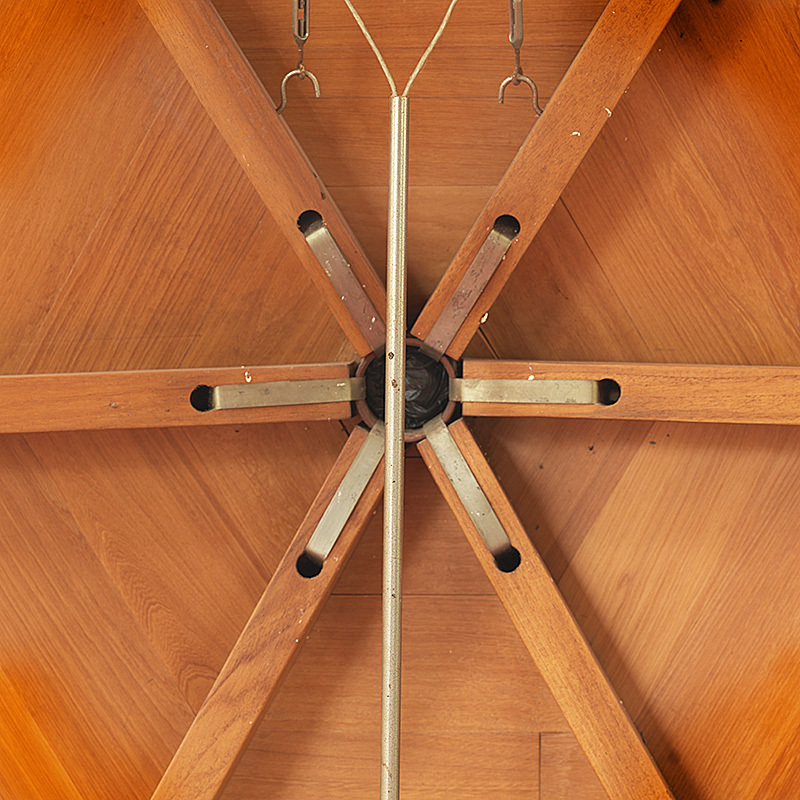 Apart from making images of the main space in the dome I tried to capture some of the details and features. 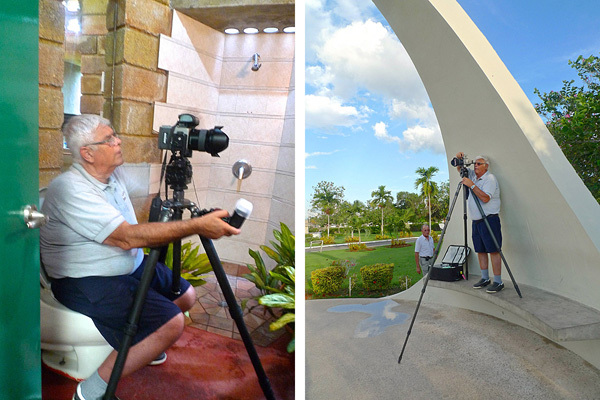 Most of the time I used the super wide 24 and 28 mm lenses to capture as much of the space as possible using handheld flash to boost the level of illumination when necessary. In order to deal with the extreme contrast I composited the windows so that you can even see the raindrops on the glass. We had to leave early but I managed to rush a few exterior shots before the rain returned again. There is an interesting image on me shooting the bathroom. Truth is that conditions were not the best to do justice to the Phoenix but I did the best I could in the time.